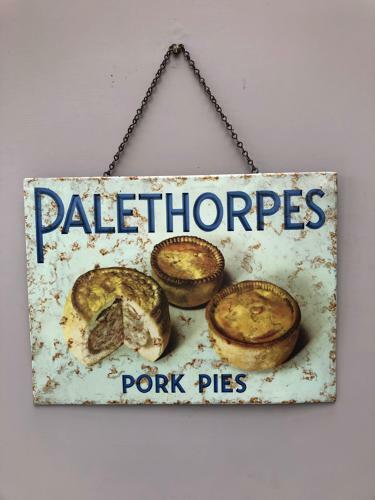 This is a genuine c.1920s Shops Tin Advertising Sign for PALETHORPES PORK PIES. Wonderful original condition including its original hanging chain. You do see Palethorpes Sausages advertising items around but it is much harder to find advertising relating to their Pork Pies.